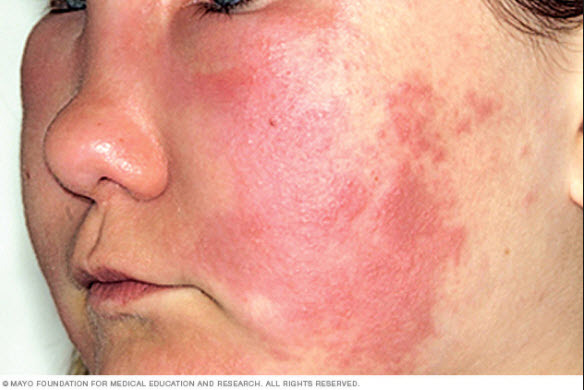 Hives is an allergic skin condition that can be caused by bug bites, infections, or just working out. Most insect stings and bites cause some kind of redness, swelling, or itching. Sometimes, they bring more than a small bump. 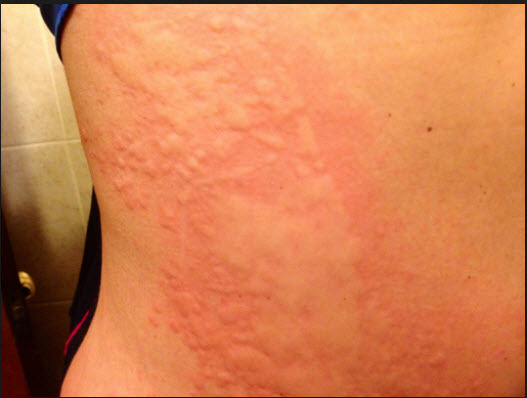 Hives usually cause itching, but may also burn or sting. They can appear anywhere on the body, including the face, lips, tongue, throat, or ears. This swelling can vary in size (from a pencil eraser to a dinner plate), and may join together to form larger areas known as plaques. They can last for hours, or up to several days before fading. Take your nail and firmly (but not too firmly) scratch a line into your skin. If the raised mark it makes sticks around for half an hour, you’ve got something your doctor may call dermatographism. It’s hives that pop up from rubbing or scratching your skin. Did you know you could be allergic to alcohol? Alcohol intolerance can cause a flushed face, nausea, vomiting, diarrhea, and hives. What you eat is important. Things like shellfish, peanuts, tree nuts, certain fruits, and milk are all common culprits. It’s rare, but you can be allergic to sunlight. When this reaction happens, you get it only on the parts of your skin the sun has touched. Any contact with lower temperatures — from a blast of winter air to a dip in a pool can bring on your rash. Often, hives happen because your immune system is too active. Your body’s defenses attack normal tissue, and you get a breakout. Disposable gloves, bandages, condoms, pacifiers, balloons, and shoes. The list of things made of latex is long. Everything on it can cause hives, if you’re allergic. Usually, it’s the protein in natural-rubber latex that riles things up. Dander can drum up it quickly. So can saliva from cats and dogs. If you notice red welts after petting or playing with a furry friend, your playmate is probably the cause of your blotches.